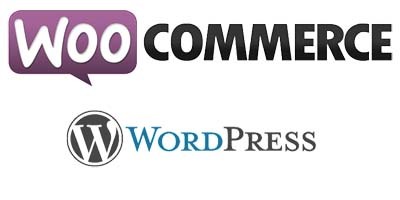 By installing the Dropshirt Woocommerce Plug-in and Enabling products, you are directly connecting your products to our fulfilment system. The plug-in requires you add a few hidden fields to your product, so that our system can find this data when an order is submitted. Our printers then use this data to print your order. Note: This is only required on products that you want us to drop ship on your behalf. 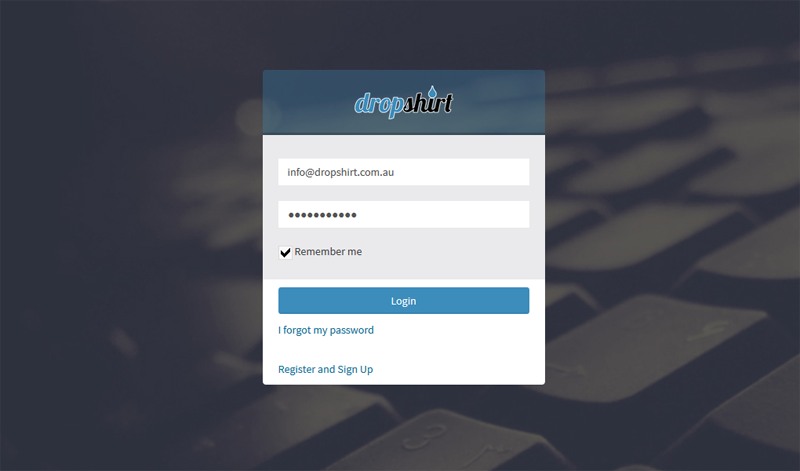 Time Saving Tip: The Dropshirt Plug-in is only required to get fulfilment. Not to sell a product in your store. You can enable the product, and set up everything after you have made a sale. Although we do highly recommend getting a sample. 4. Enter the agreed wholesale price for this product. To successfully print your order we need to pull all the data directly from your Woocommerce orders list. The delivery address, product name, product image, size and colour, plus the custom print fields. This gives us all the information we need to produce your order. Note: The Dropshirt Woocommerce Dashboard will ONLY display orders for Enabled Products and Orders that are in the status "Processing". 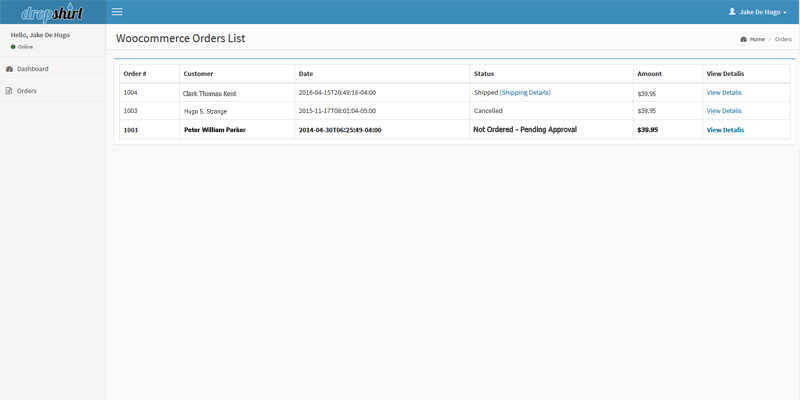 The Dropshirt Woocommerce Dashboard shows you the progress of each order and if there are any orders waiting for your approval. 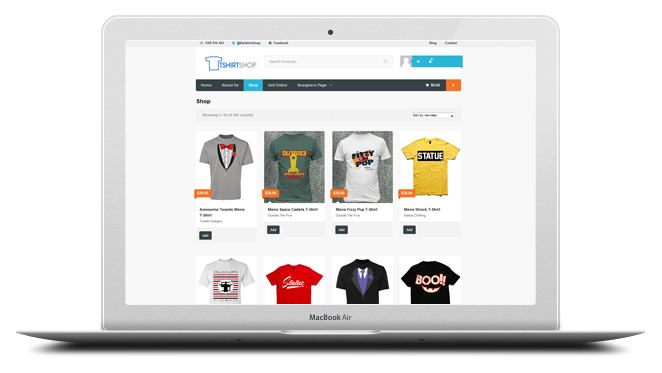 Want to learn more about the Woocommerce Drop shipping application. Please read the integration documentation below.